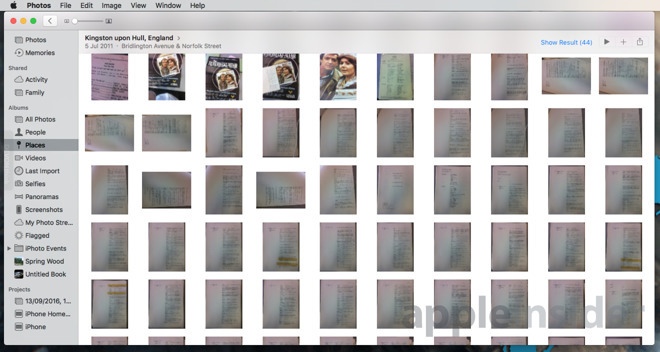 Similarly, you can send the photos to just about any iOS app. 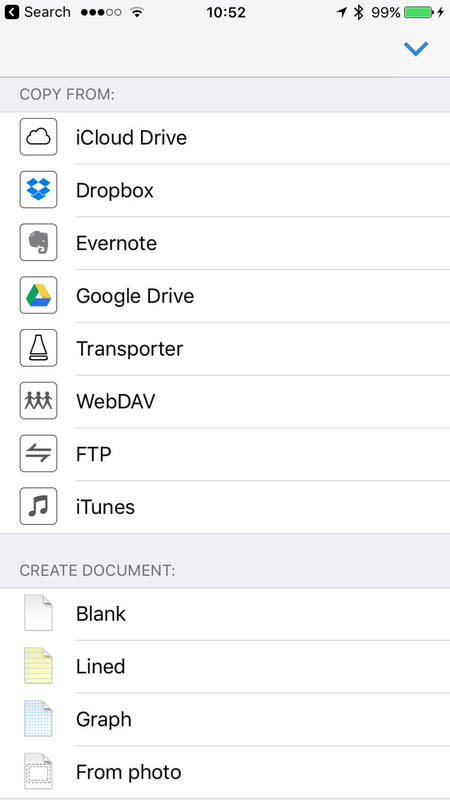 Apple Notes, for instance, will take them all in one go too —but it will create a note that has each image stored separately. 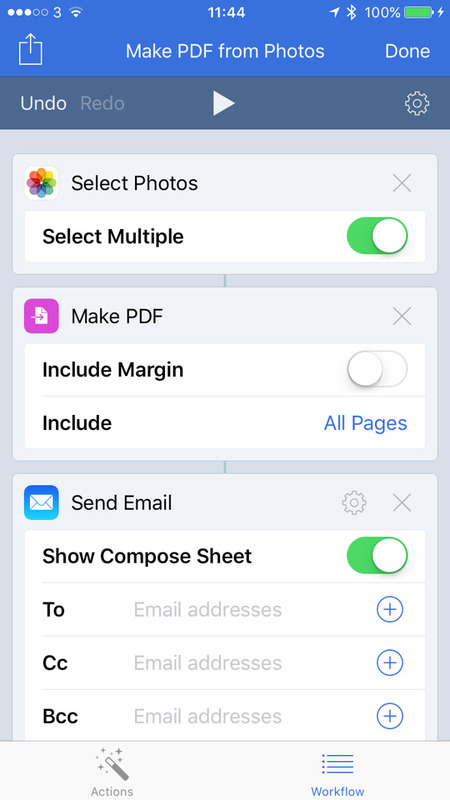 So, Workflow added into the mix is handier than just using the regular Photos app —but not by a great deal. 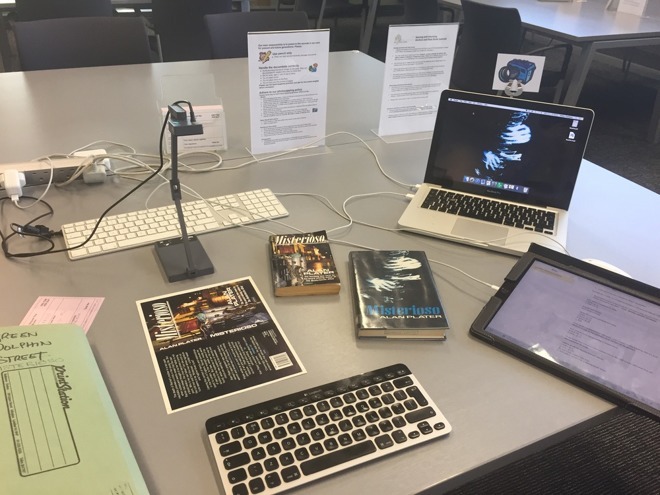 As a result, we recommend it for no more than four pages of documents at a time which will still suit most casual document scanning needs. 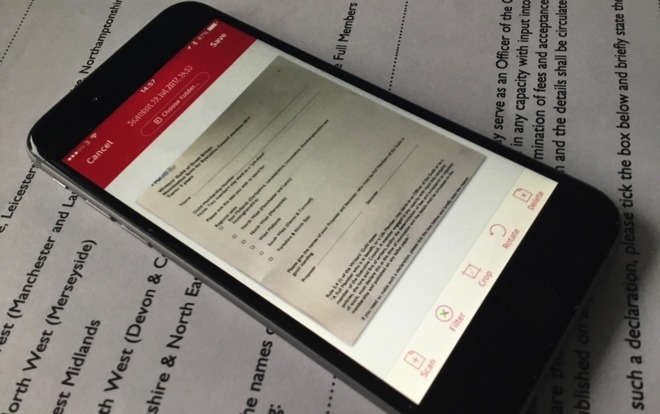 These and all dedicated scanner apps use the iPhone's camera and then work to counter —or at least reduce —the common problems in document scanning. 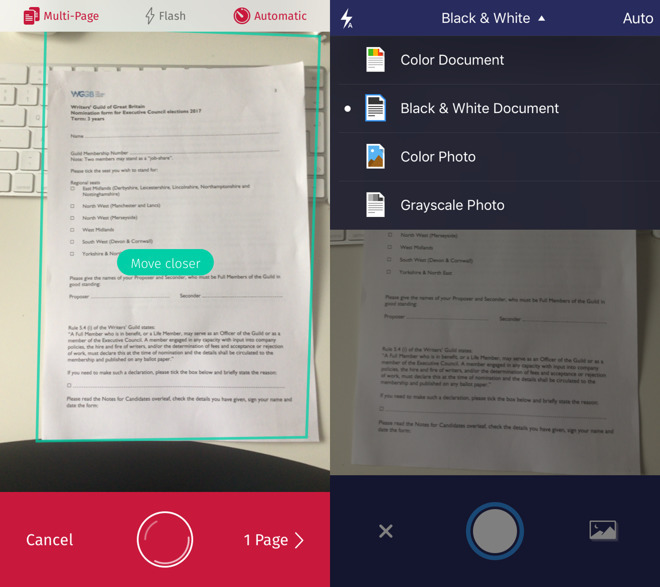 Both of these apps can also do the next thing you usually want when scanning documents —they can use OCR to turn the images into text. We still find that OCR on iOS is slow and error-prone but it does work.